Beautiful baby girl’s cotton dress and matching knickers is a traditional long dress with lightweight knitted, stretchy bodice and short sleeves. Pretty gathered frill round the neckline in white and pink cotton. This dress is perfect for a day dress or any other occasion. 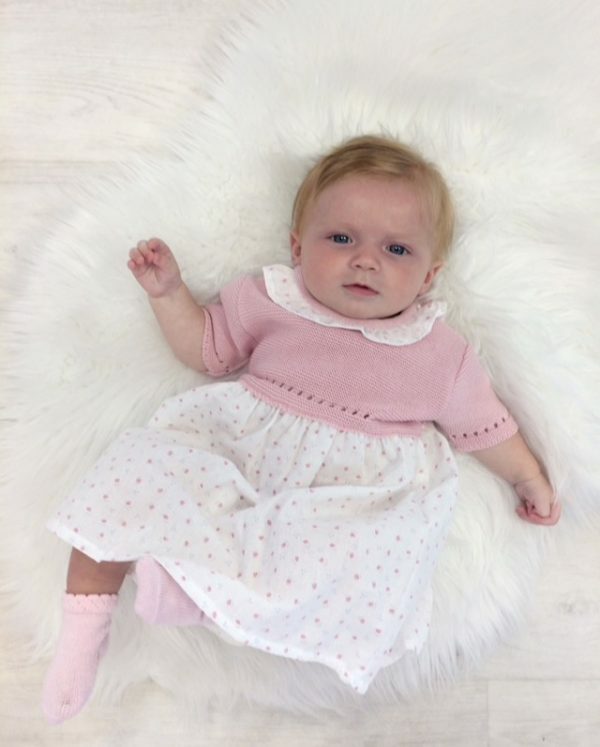 Baby Girls Pink & White Cotton Dress is a two piece item. 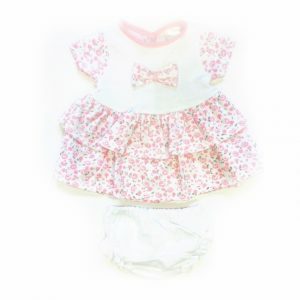 The dress consists of matching knickers, short sleeves and pretty white and pink dress/skirt. 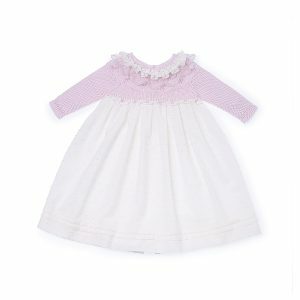 This traditional baby dress has pink knitted bodice with delicate detailing on the edge. Fastens at the back with button fastening for easy dressing. 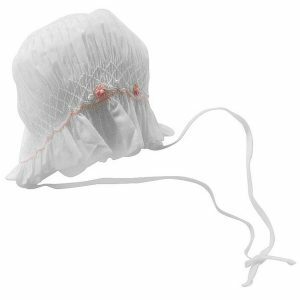 The knickers have elasticated waistline for easy nappy changes. Beautiful baby girls dress to wear this season. Please click the link to browse more of our baby girl dresses or baby girl clothes. Shop baby clothes and more online at Bumpalumpa.com.